Can Midtown Bar and Grill Shooting Victims Seek Justice, Compensation? Could This Statesboro Bar Shooting Have Been Prevented and Is Justice Available to the Victims? 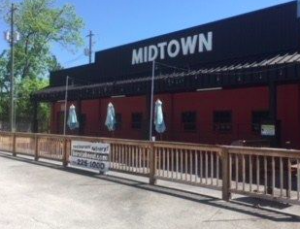 Two people were reportedly shot and injured when gunfire erupted outside Midtown Bar and Grill in Statesboro Saturday morning, May 5, 2018. According to WALB 10 News, responding officers “encountered a large, chaotic crowd in the parking lot of the business,” shortly after midnight. Two victims were transported to East Georgia Medical Center with “apparent gunshot wounds.” Their current conditions have not been released. Warrants have since been issued for a suspect’s arrest, per WSAV reports. Was negligent security a factor in this senseless shooting and could this incident have been prevented? Read Our Legal Take below to find out if the victims may have legal avenues for justice and claims for substantial compensation in Georgia. Bar and restaurant patrons have a right to feel safe and secure while on the premises. The Murray Law Firm questions the level of security provided at the property and whether this shooting may have been prevented. 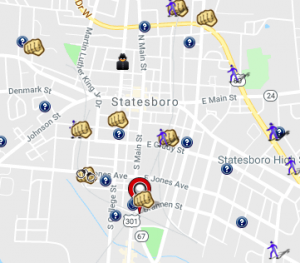 A recent crime report from Spotcrime.com reveals a number of assaults in the surrounding area. What parking lot security measures, such as bright lighting, surveillance cameras and security patrols, were in place to protect the victims and deter such crime at the time of the shooting? By law, property owners in Georgia are required to protect all those legally on the premises from any foreseeable harm. Should the facts of this matter reveal that the bar owner or management failed to provide adequate security, the victims may seek justice and elect to pursue legal claims for their injuries.